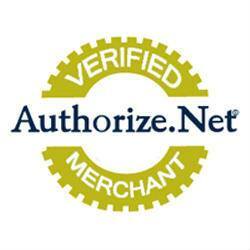 Large selection of sizes, colors and fonts available - Made in the USA! 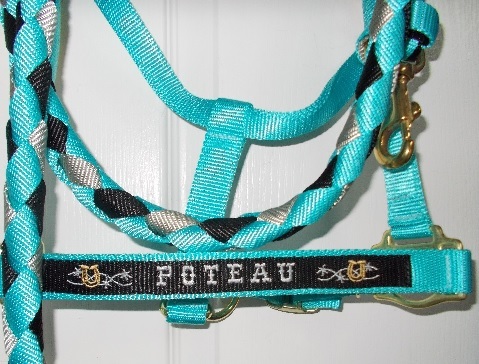 Monogrammed halters make great gifts for horse lovers & nice awards! 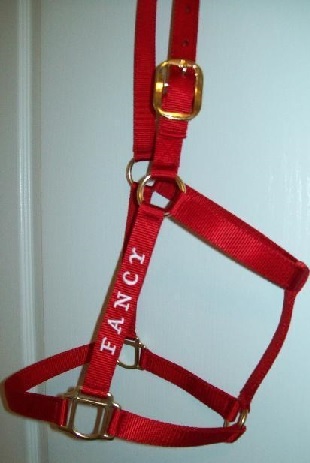 Fine quality leather halters w/engraved nameplates too! Special requests welcomed! 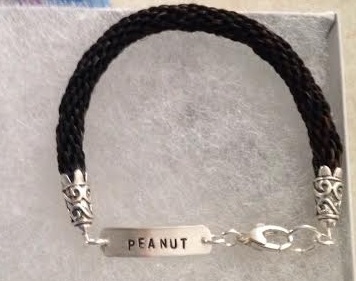 Custom Horsehair Bracelets & More! 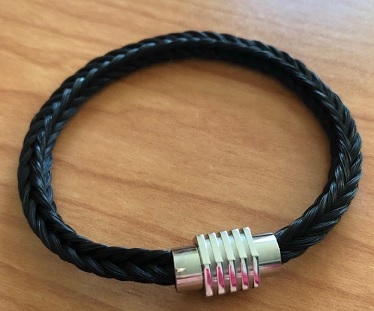 Please browse our collection of custom horsehair jewelry made from YOUR horsehair & order online, or call us to discuss YOUR specific requests for that special horsehair bracelet, memento or award. 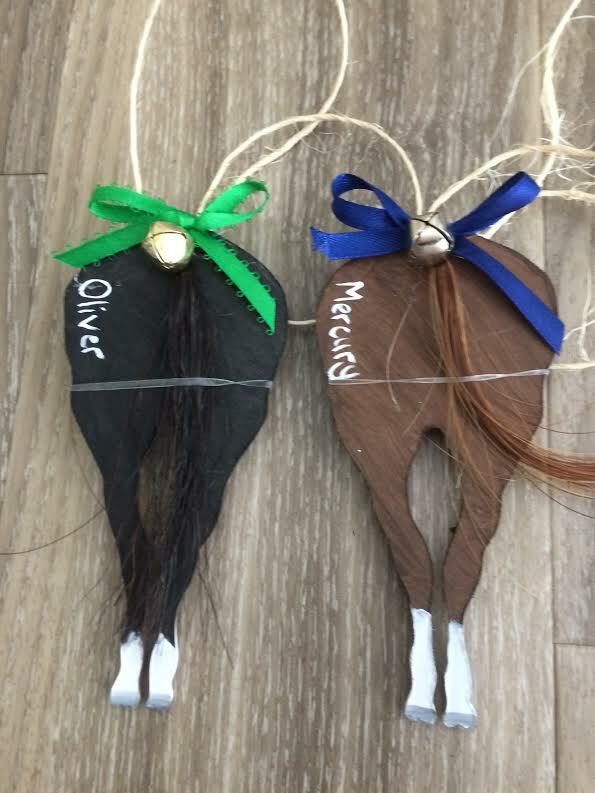 In addition to custom horsehair jewelry, we offer horsehair pottery, a Remembrance Pony and Painted Mosaics that can include YOUR horse's hair. 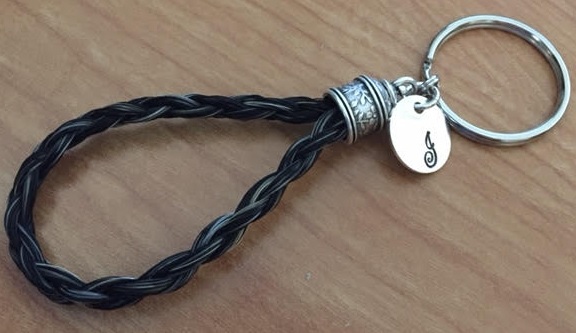 As a personal gift for yourself or the horse lover in lover in your life, custom horsehair jewelry or any of these fine pieces made from YOUR horse's hair will be treasured a memento! 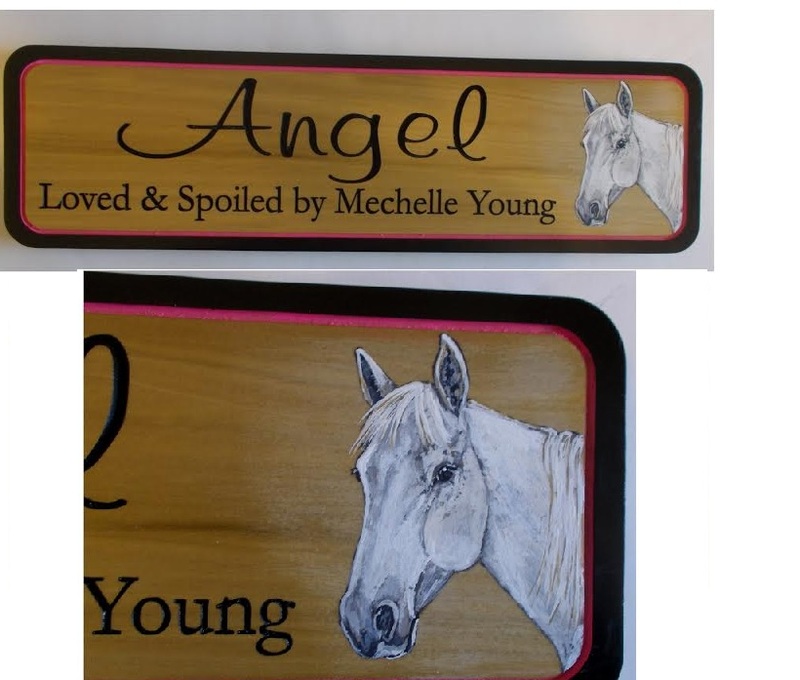 Personalize a gift for your home featuring your horse or ranch! 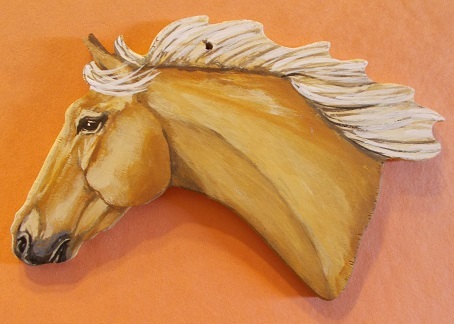 Great shower gift, birthday gift or wedding gift ideas for any horse lover. 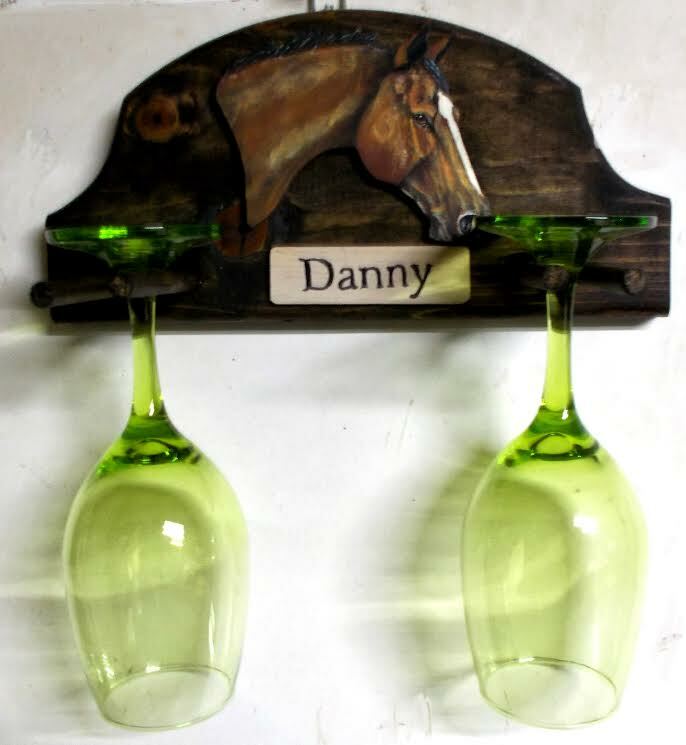 Check out the custom painted HORSE WINE GLASSES and WINE GLASS HOLDER. 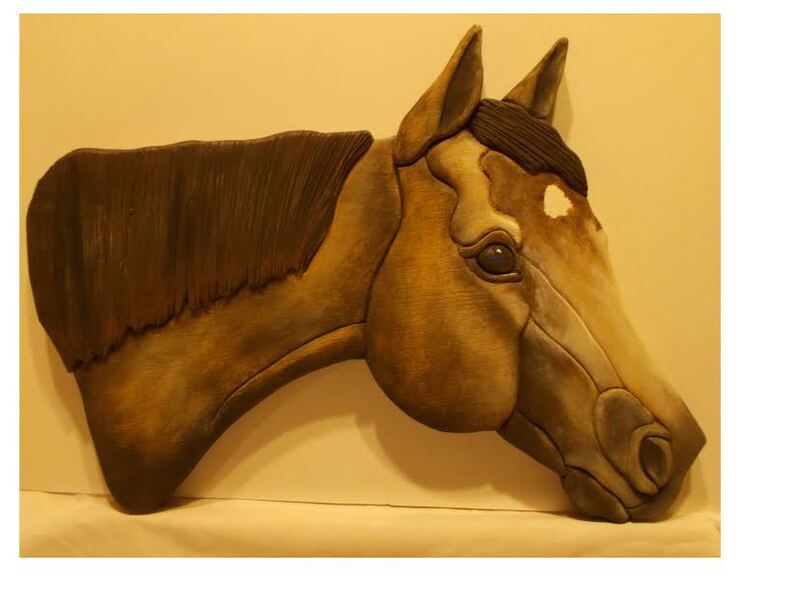 Strikingly unique works of art made from YOUR horse's hair! 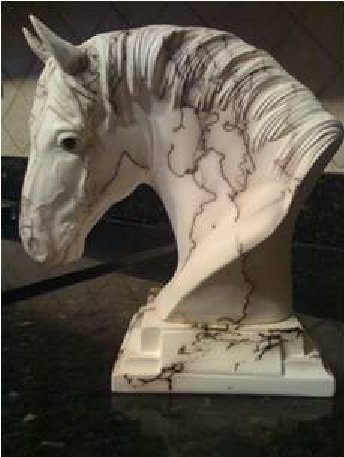 In creamy white with unique carbon markings, or painted like YOUR horse. .
See what we can make using a photo of YOUR horse! 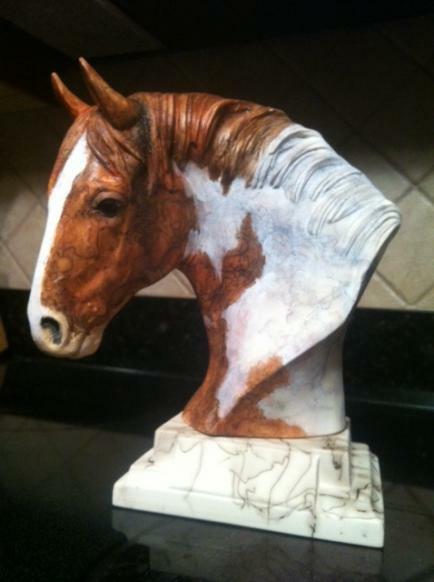 Mosaic's, Charcoal, Stained Glass and more! 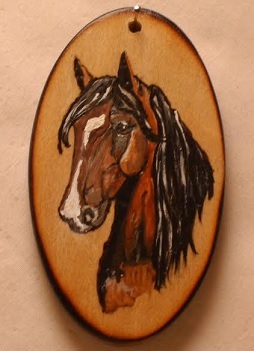 Custom Stall Signs - Plain or Fancy -may include logos, painted portraits and more! 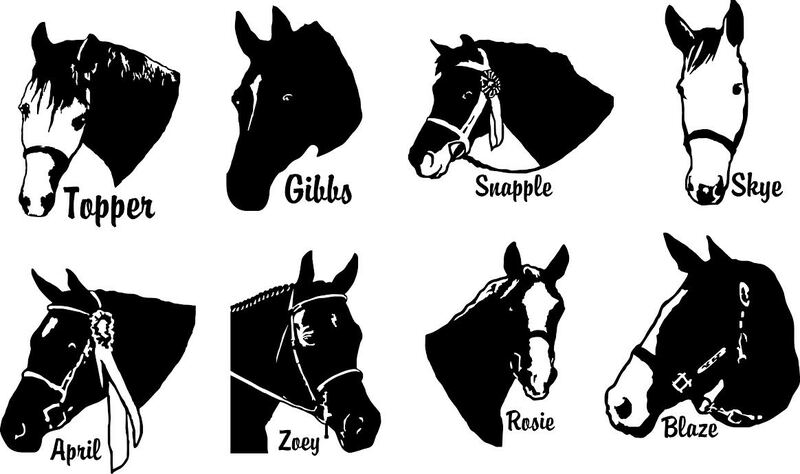 We have hundreds of horse patterns! 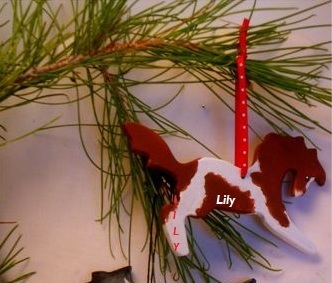 Or have us make a pattern from YOUR photo! 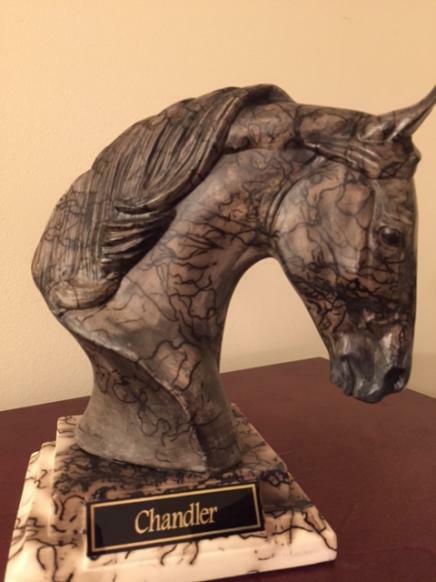 horse lover in your life! These are just a few of our affordable gift ideas. 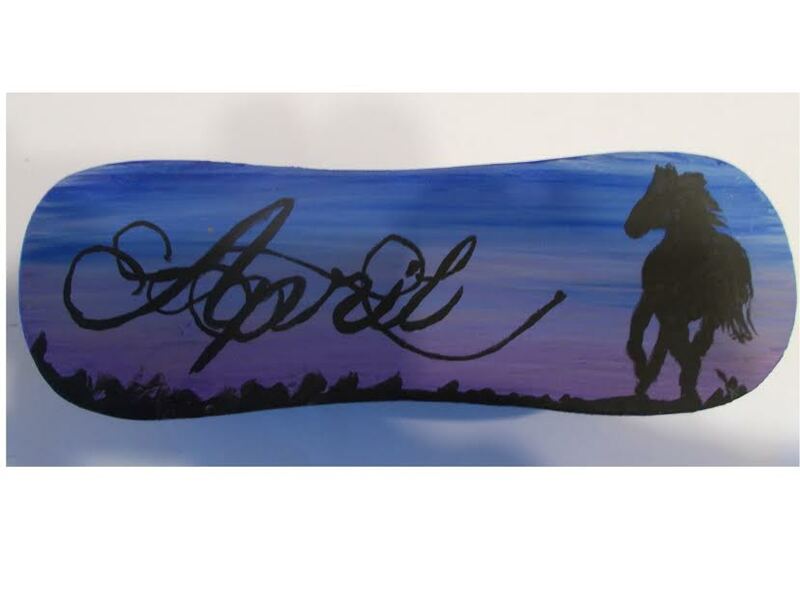 We offer an unmatched selection of custom horse gifts that can include YOUR horse's name, picture or hair! 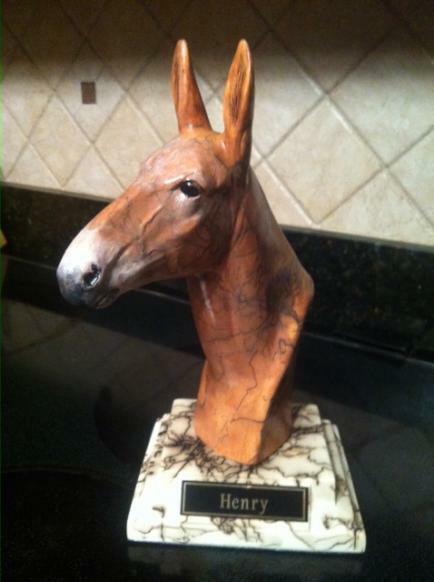 We try to make it easy for you to give a gift that is sure to please the horse lover in your life! 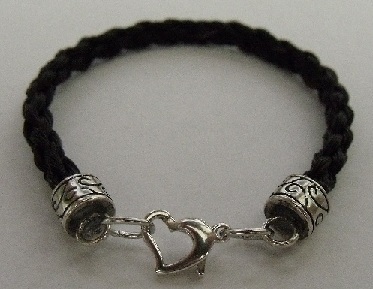 If there's something special you need and don't see it here, please contact me. 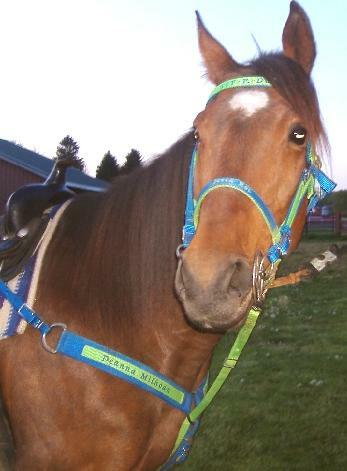 I'll be happy to try and help you find something 'Uniquely Equine'!